We’re pround to announce that Space Coast Kibble Kitchen (SCKK) and Hospice of Health First’s Bright Paws program today announced that the two non-profit pet food banks will be working together toward the common goals of providing donated food to Brevard County pet owners who are struggling financially to keep their pets. 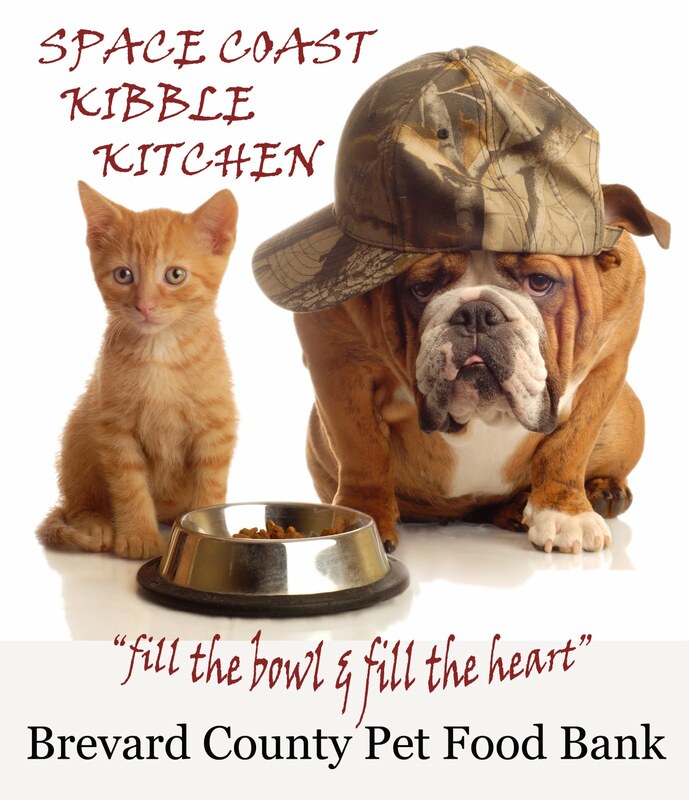 Space Coast Kibble Kitchen is Brevard County’s newest pet food bank; Bright Paws Pet Food Bank is a project associated with Brevard County’s Hospice of Health First’s Bright Star Center for Grieving Children & Families. The event will include live entertainment, happy hour, a silent auction and raffle tickets for donated gift certificates, products and services from area restaurants and businesses, including Fishlips, Applebee’s, Golden Corral, LongHorn Steakhouse, Outback Steakhouse, The Melting Pot, Amici’s Italian Restaurant in Suntree, Bonackers Seafood in Indian Harbour Beach, Wassi’s Meat Market in Melbourne, a free blog design creation for your business, linked to your social networking sites from Socializing Your Business in Indialantic, a custom driftwood mirror from The Shore Life Collection in Indialantic, a gift basket loaded with fresh, hand-made bath and body products from Yummy Suds of Melbourne Beach, a gift certificate from Panache Hair Studio in Melbourne, a facial from Brevard Plastic Surgery & Skin Treatment Center in Melbourne, a gift certificate from Lather Lounge Hair Studio in Rockledge, a nautical, framed painting from Angela’s Furniture in Melbourne, a haircut by Sandy Clark at Transformations Salon & Day Spa in Melbourne, and hand-crafted granite kitchen cutting boards from Stone House Granite, Inc in Melbourne, in addition to many other great donated products and services from local businesses.